First going on sale back in 1992, the Subaru Impreza is currently in its fifth generation. The Impreza is the Japanese brand’s cheapest offering in the UAE and falls under the compact sedan classification. While several other markets also get the hatchback version of the Impreza, Subaru only offers it as a sedan in the UAE. The new fifth-generation model makes use of the Subaru Global Platform, and it went on sale in 2016, shortly after its official debut at the New York International Auto Show. 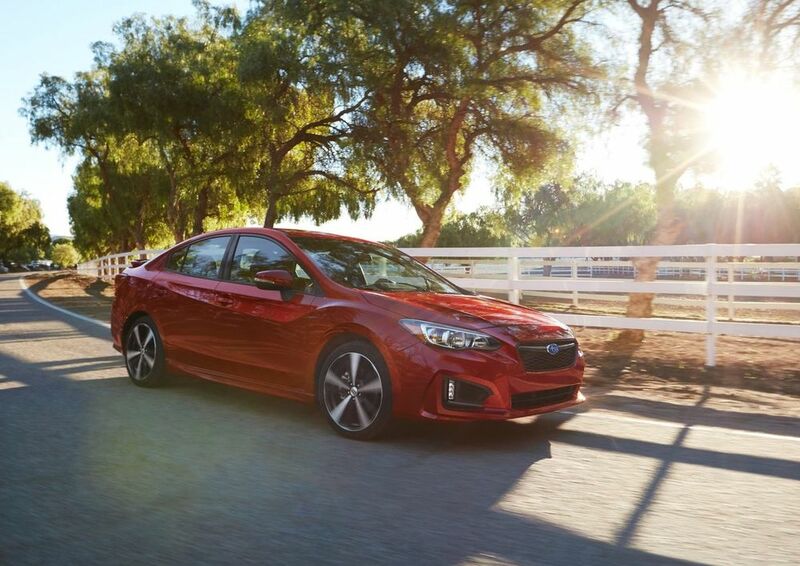 Since its facelift was only done recently, the 2019 Subaru Impreza doesn’t offer anything unique in terms of its design or overall styling. In a segment where the competition is not only tough but also offers more, the Impreza surely has its work cut out for itself. Speaking of which, the 2019 Subaru Impreza’s rivals in the UAE include the Honda Civic, Hyundai Elantra, Nissan Sentra, and Volkswagen Jetta. In the right color and viewed from an interesting angle, the 2019 Subaru Impreza looks quite handsome. However, it simply doesn’t have the stylistic flair of the Civic, but it surely has more flamboyance than the rather boring design of the Jetta. The front is unmistakably Subaru with its hexagonal grille with chrome finish and a pair of bulging “hawk-eye” headlamps. The latter’s design also incorporates distinct LED daytime-runners which add more character. The well-molded bumper gets integrated halogen foglights and a centrally-place air dam. The most notable design highlights along the side of the new Impreza include the flared front fenders, 16-inch alloy wheels, sporty side skirts, door-mounted wing mirrors, and a thin strip of chrome under the windows. The rear design of the Impreza is perhaps the blandest with its large yet awkwardly-styled taillights and a boring bumper design with just a single tailpipe. 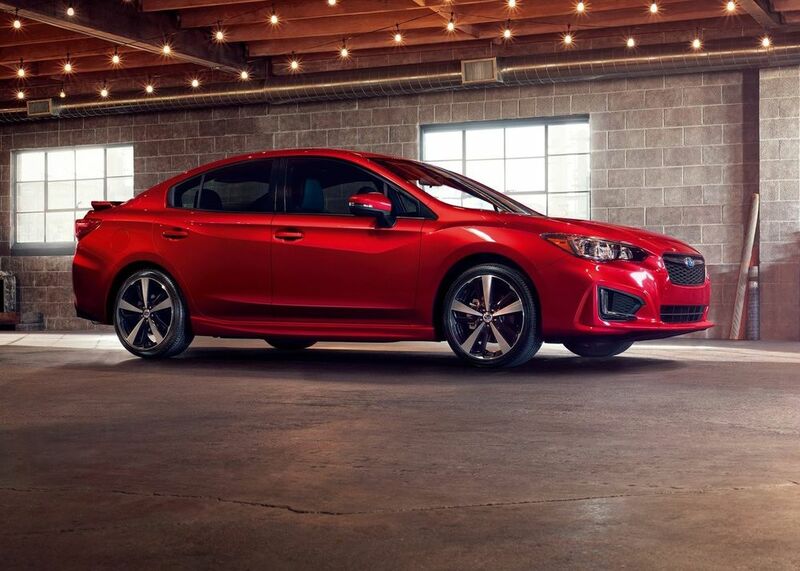 In terms of its size, the 2019 Subaru Impreza sedan measures 4.625 meters in length, 1.775 meters in width, 1.455 meters in height, and has a wheelbase of 2.670 meters. As for the boot space, the total capacity is 460 liters. 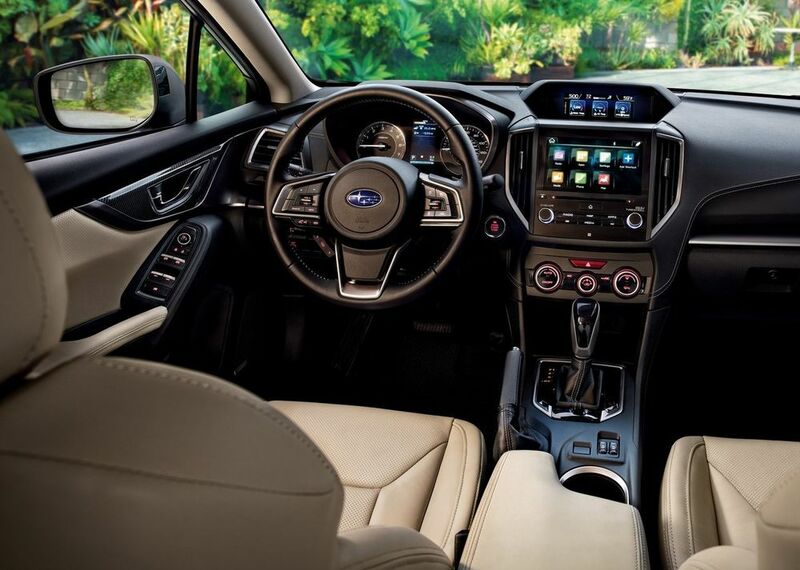 The interior design of the 2019 Subaru Impreza is a very practical place to be in. Subaru’s excellent use of space along with great ergonomics goes well together, and there’s no dearth of room, either. However, the design is far from exciting and there’s no real sense of occasion in here. Despite the practicality and Subaru’s great build quality, this cabin surely needs a styling update. And while the seats offer good support and cushioning, the lack of rear air-con vents is evident during the summer months. As for features, the 2019 Impreza gets keyless-entry with push-button ignition, automatic climate control, power-operated driver’s seat, paddle shifters, leather-wrapped steering wheel, electric sunroof, cruise control, power-folding mirrors, a 6.5-inch touch-infotainments system with Android Auto and Apple CarPlay, and parking sensors with rear camera. Some of the safety items include ABS with EBD and brake assist, multiple airbags, electronic stability control, and ISOFIX anchor points. While the Subaru Impreza is offered with a choice of two engines in the UAE, the 2.0-liter four-cylinder mill making 150 hp and 196 Nm of torque makes the most sense. Both engines come mated to a CVT gearbox and spin all four wheels using Subaru’s Symmetrical All-Wheel Drive system. Equipped with the 2.0-liter motor, the Impreza can crack 100 km/h in less than 10 seconds, hit 208 km/h, and return 7.2 L/100 km. The 2019 Subaru Impreza range starts from AED 74,900 for the base Standard trim with the 1.6-liter engine, while the top i-S trim with the 2.0-liter engine costs AED 82,900. Cost of insurance varies between AED 1,167 and AED 1,292.